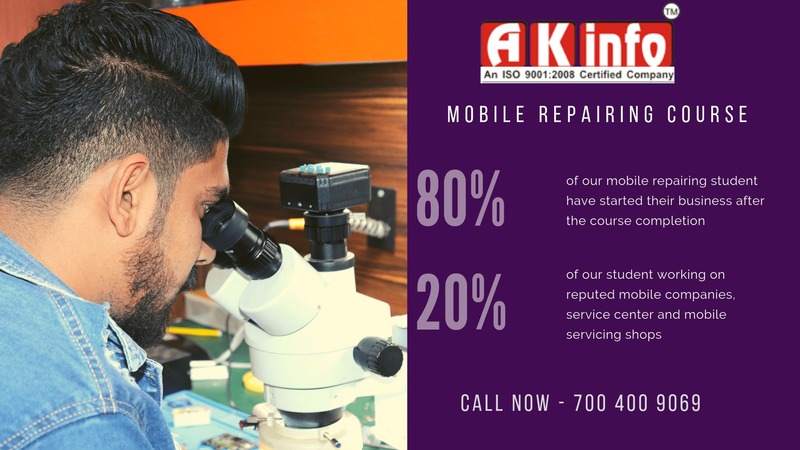 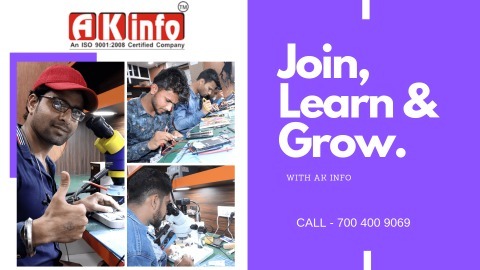 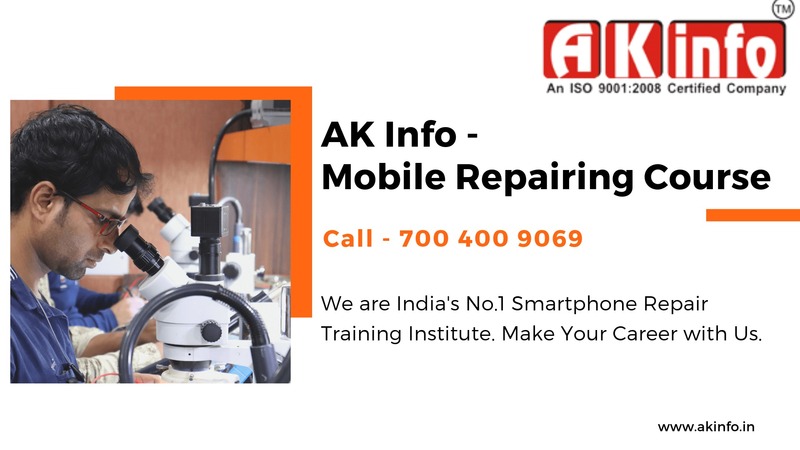 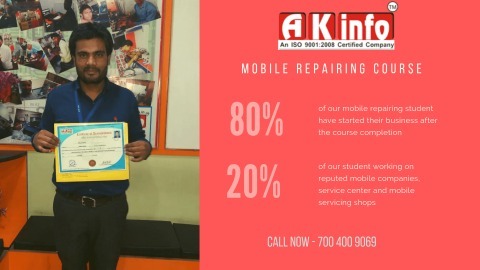 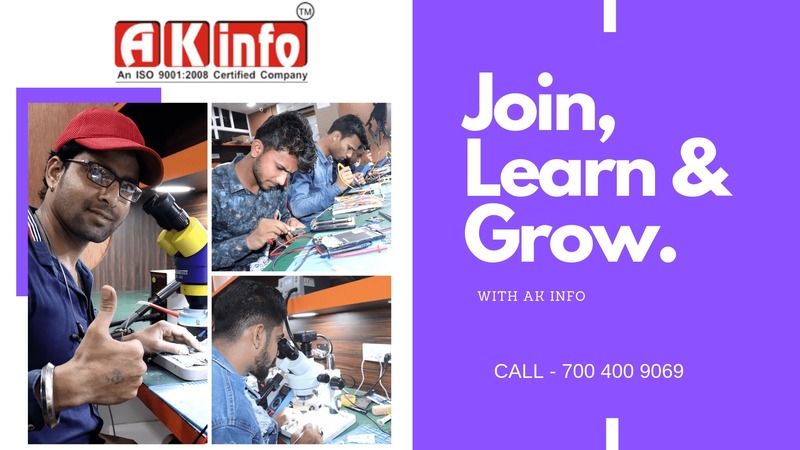 A.k info is an institute, which is offering eMMC and Mobile Repairing courses in Delhi, India. 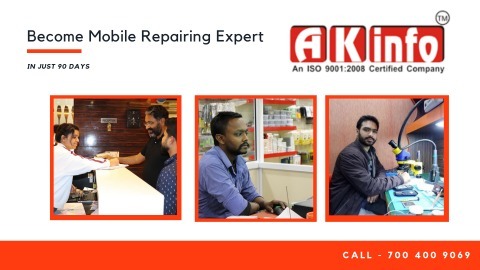 We have branches in Karol Bagh, Hajipur and Patna. 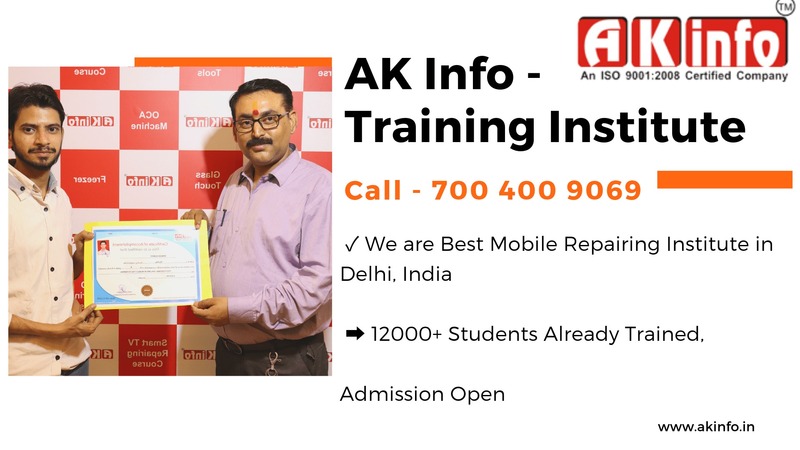 A.k.info has well-established training centers in all over India. 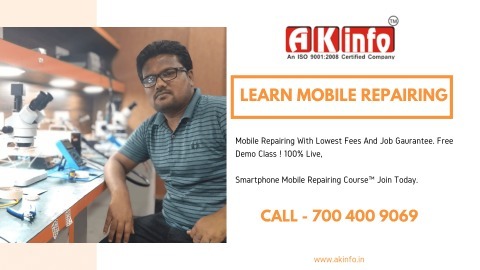 We have expert trainers for mobile hardware and software courses. 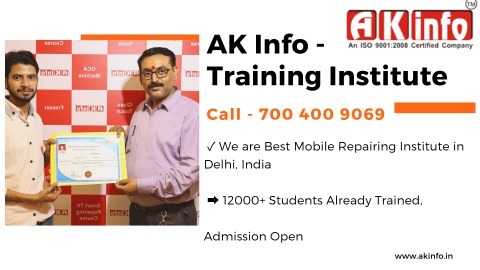 Having an ISO Certified Training Institute, we focus on quality training. 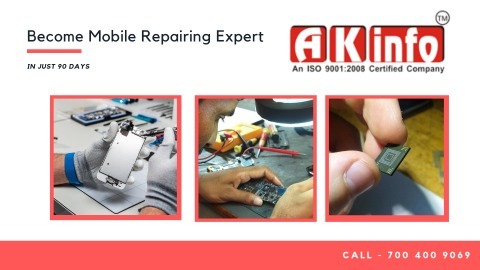 Apart from that, our focus is to make mobile repairing specialist in a shorter span of time. Mobile repairing is a technical skill, it does not require any additional qualification. 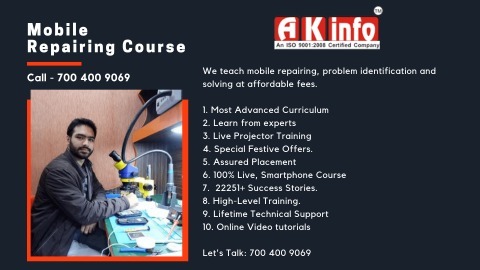 Anyone who is tech enthusiasts can join this course. 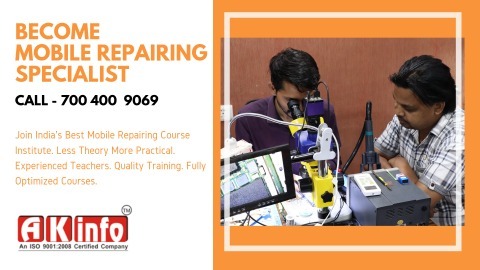 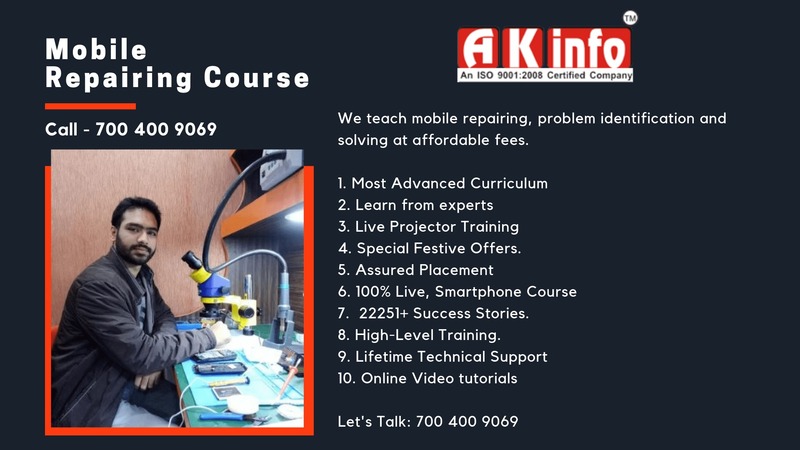 The course covers the basic to advance level of mobile repairing, where you will learn basic electronics iPhone repairing, Chinese Mobile phone repairing, Samsung, VIVO, OPPO, MI, etc mobile phones.